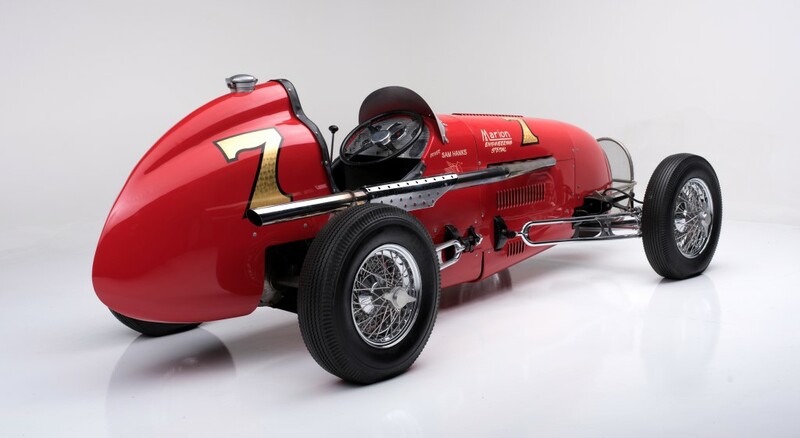 Crossing the auction block in Scottsdale will be this 1948 Kurtis Kraft KK2000 race car (Lot #1280), which appeared five times at the Indianapolis 500. The United States in the late 1940s witnessed a move into a very prosperous time after fully recovering from both the Great Depression and the trauma of World War II. The racing world, too, was recovering. After American involvement in the war began, the 1942 Indianapolis 500 was canceled, and the federal government banned motor racing on July 15, 1942. The Speedway was shut down for the duration of World War II – and nearly never reopened due to its dilapidated state at war’s end. Luckily, it was renovated and the first postwar Indy 500 in 1946 was a box-office smash. The ensuing years saw many new and innovative machines take to the track – including the first Kurtis racers. Frank Kurtis began building cars at an early age at his father’s blacksmith shop in Pueblo, Colorado, which repaired automobiles and horse-drawn buggies. 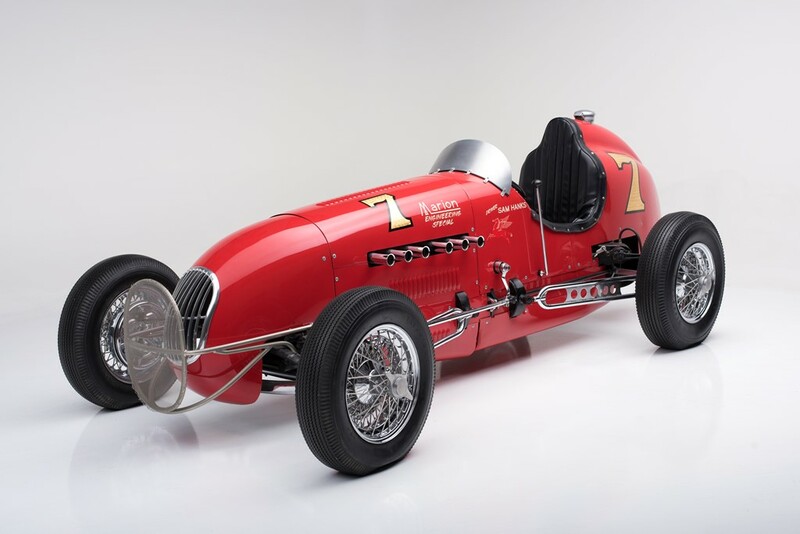 The family later moved to Los Angeles, and by the 1930s, Kurtis was designing, building and repairing racers in a four-car garage located behind his home. He is best remembered for his all-conquering midget and Indy racers. 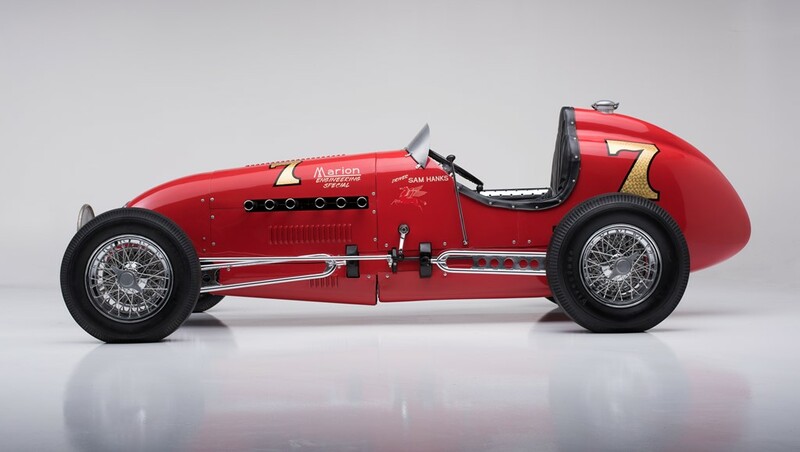 Motoring onto the Barrett-Jackson Scottsdale auction block at No Reserve is a 1948 Kurtis Kraft KK2000 race car (Lot #1280), Serial #326. Purchased new by Milt Marion, this is a stark contrast to the Indy cars of today, with their fire suit-clad drivers and countless safety features. Drivers of this era often found their way to the track strapping on inadequate head protection and perhaps a pair of gloves. 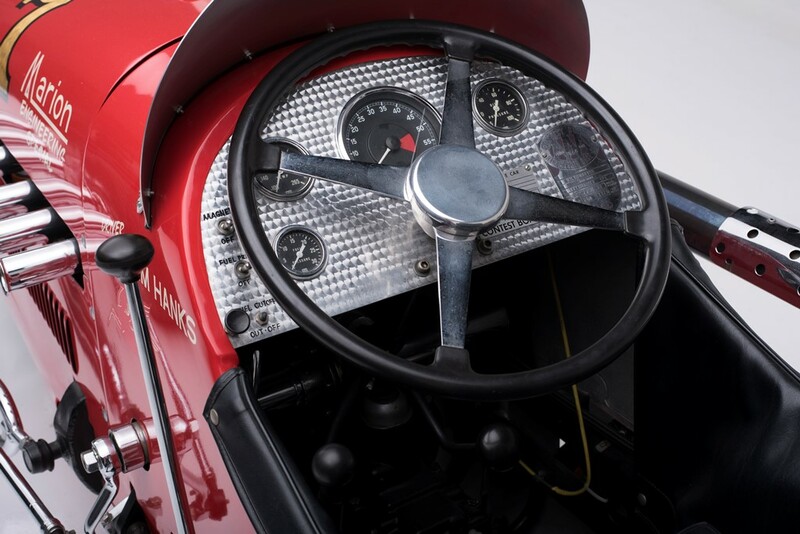 They sat upright in a seat with their head and shoulders well above the rest of the race car, which was often equipped with poor seatbelts, if any at all. There was no sign of a roll bar or cage, and fire was a constant threat. 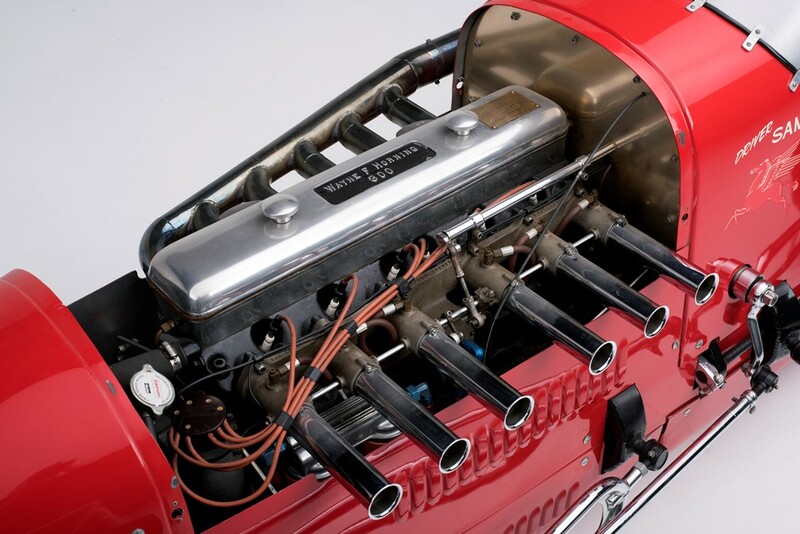 Marion, who owned the car from new until 1955, used the Kurtis chassis and body but designed and added the cross-springs. The car has a Ford 3-speed transmission, international front spindles, hubs made by Conde, a quick-change rear axle, a Halibrand rear end and a Kurtis torsion bar rear suspension. Ford shocks cushion the front and rear, and Catton disc brakes provide the stopping power. The four Daytona wire wheels and hubs are directed by Norden steering. In 1955, Marion sold the KK2000 to brothers Otto and Adoph Stoye, who installed an original Horning GMC 270ci engine with 12-port iron heads. The Stoye brothers felt the engine, which was developed for the Don-Lee Bonneville Streamliner, would enhance the low-end power curve for short and dirt tracks. The front end of the motor and ancillary drives are powered by the original roller cam developed by Chet Herbert, with Hilborn fuel injection. In 1949, this KK2000 was driven by Sam Hanks in the Indy 500, Neil Carter at Del Mar and Bill Holland in the Sacramento race. The car appeared five times at the Indianapolis 500, qualifying twice. Repainted as it was when it ran at Del Mar with Neil Carter aboard, this never-wrecked race car was shown at Laguna Seca in 1983, at Del Mar in 1996 and at the Santa Barbara Concours d’Elegance in 1983, where it won Best of Show. The KK2000 is unquestionably a stunning piece of the Indy 500’s past. For up-to-date information on this vehicle, click HERE.